Today I’m going to share with you a good shopping secret. It’s a secret that will get you all the clothes you need, half of the normal price or less. If you lean close enough you just might hear it. The secret is Thrift Stores. I know what you’re thinking, thrift stores are so uncool and no one likes to go there. I used to think the same thing not too long ago. My mom then took me to a thrift store one day. She was looking for things to work with doing her crafts and table settings. I got bored and she told me to go ahead and look at the clothes. I gave her a weird look and refused. It later turned into her commanding me to look at the clothes. When I started looking, to my surprise I found a few nice shirts. I even found a belt which I desperately needed because it seems like I can never find pants that fit right. I got four shirts and one belt. 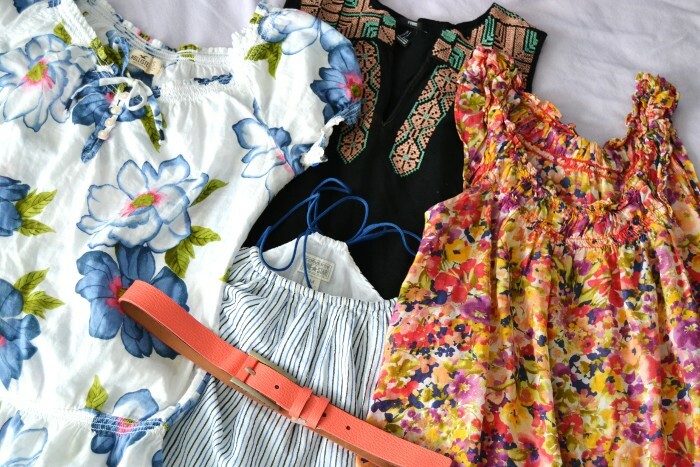 One of the shirts is floral print from Hollister, another shirt is floral print as well from The Loft, another one of the shirts was from Forever 21 which had a tribal look around the neck line, and the last shirt is black and blue stripes from Converse. The belt was a coral color, which was good because I needed a nice solid color that I didn’t already have. I paid about fifteen dollars for everything. Normally, with fifteen dollars I could only buy one shirt. I bought these shirts because I thought they would be great for future outfits to use for the blog. Now when you guys see these shirts, you will know where I got them from. The reason I decided to share this tip with you guys is because people tend to think that you have to spend a lot of money in order to look good. That is not the case at all! It all depends on how you style the clothing, not where it comes from. I love thrift stores though I’ve never been. I don’t know where you can find one where I live. I just stumbled across your blog, and really enjoy it. It’s one of the few blogs out there written by younger people. I’m pretty young too, younger than 14. Love your blog! Thank you so much! I appreciate the kind feedback. Now if you cant find any thrift stores you can always hit the clearance section or go find some really good sales. I went to Rue 21 a few weeks ago and got this really pretty long sleeve shirt for 3$ and a nice sweater for 5$. You just go to look for the low prices.